Proper land management involves putting together a plan to meet the long term goals of the landowner. This plan can be to maximize financial goals, enhance aesthetics, improve wildlife habitat or a combination of these. Small tracts may only need brief management recommendations to guide the landowner to their goals, whereas large tracts need more detailed plans. Detailed plans involve mapping all the various stands on the tract, conducting an inventory of each stand and marking specific recommendations for each stand over a period of 5 or more years. A brief or detailed plan will be customized to each landowner's needs and long term objectives. 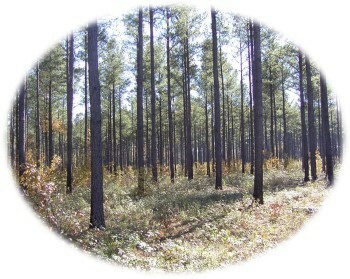 An option which many landowners chose is to have a Forest Stewardship Plan drawn up. Under this program the state pays most or all of the cost for Knapp-Barrs to complete a management plan for your property. We have put together many plans of this type and consider the Forest Stewardship Program a good way for forest landowners to improve the management of their timberland and learn more about the information that is available to them. Once the landowner has decided on a specific timber management prescription, Knapp-Barrs can handle all the logistics of setting up these treatments and supervise each step of the process to completion. In addition to harvesting these treatments include site preparation and tree planting, control burns, fertilization, pine release, woods road construction to BMP specifications and food plot construction. Copyright 2013 Knapp-Barrs & Associates, Inc. All Rights Reserved.